SnapCacklePop: Mark Ronson heading to Oz..! 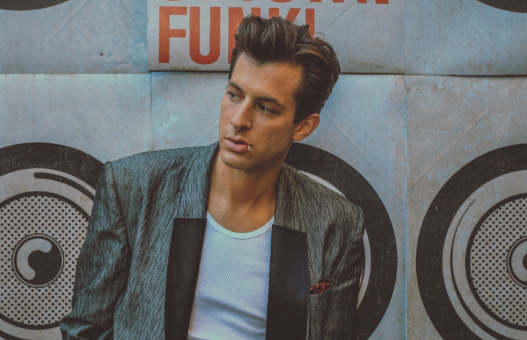 Mark Ronson heading to Oz..! Ronson will be reaching our shores for his fourth visit to Australia to promote his massive funk-a-licious new album Uptown Special. Written and produced with GRAMMY® -winning producer Jeff Bhasker over 18 months in studios in London, Memphis, Los Angeles and New York City, the majority of the album’s lyrics were written by Pulitzer-winning American novelist Michael Chabon. Expect that AMAZING single featuring Bruno Mars!!! “Ronson's favourite living author, Chabon became a part of the songwriting process early on and was fully immersed in the album’s narrative creation, often working with Ronson and the vocalists in the recording studio. Ronson also pulled in his invaluable group of musicians: the Brooklyn-based genius players Homer Steinweiss, Nick Movshon and Tommy Brenneck to help shape the album. Whilst visiting gospel choirs in Jackson, MisssissippI they discovered 23-year old Keyone Starr and were blown away by her impressive range and presence. They immediately invited her into the legendary Royal Studios in Memphis to record. Starr provides lead vocals on three tracks on the album. Uptown Funk featuring Bruno Mars has sat at the top of the ARIA Singles Chart for the past 6 six weeks with the single now certified three times Platinum. This is Mark’s first number one single in Australia. This isn’t the first time Ronson and Mars have worked together after Ronson received a GRAMMY® nomination in 2014 for his production work on Locked Out Of Heaven, the single from Bruno Mars’ multiplatinum Unorthodox Judebox that topped the Billboard Hot 100 for six weeks in winter 2012/2013. We've listen to the album and its a superb blend on pop and funk that the music charts is crying out for, however does Ronson have enough punch to bring funky back? Check out the full album below and grab your copy on the new album Uptown Special on iTunes now..!